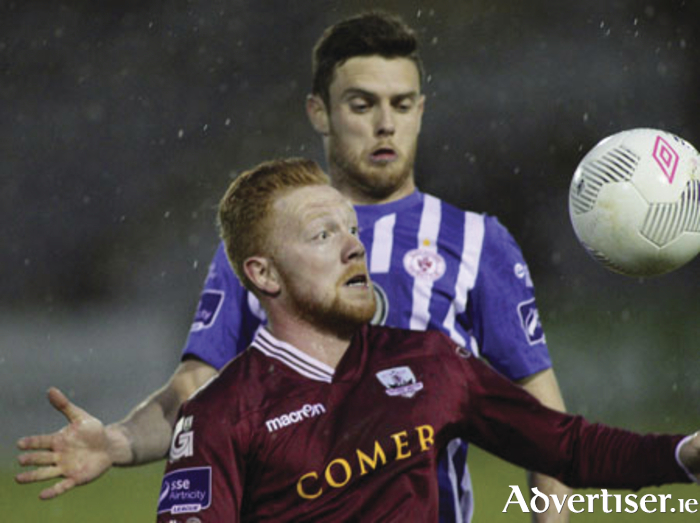 Galway United manager Tommy Dunne is hoping his young side can be more clinical when Limerick FC visit Eamonn Deacy Park tomorrow evening for a “hugely important” SSE Airtricity League premier division clash. Having suffered a 1-0 Connacht derby loss to Sligo Rovers last Friday. Dunne wants his players to start brightly against Limerick. The concession of a highly controversial fifth minute penalty allowed Dinny Corcoran to score the only goal of the game for Sligo. "It was a disappointing result," Dunne says. "Any time you don't pick anything up, it is disappointing. "I thought we pretty much controlled most of the match after the first 20 minutes. We had been a little bit indecisive in our play and in the way that we played, but we created some good chances to get back into it. “We were unlucky, their keeper pulled off a great save. When you give away an early penalty, you're giving yourself a mountain to climb. There was nothing in the match and it is down to ourselves." Altough United continue to manufacture goalscoring opportunities, Dunne wants his players’ conversion rate to improve. "Overall I thought the performance was OK for a good part of it. Unforced errors and mistakes in our passing were evident from some players. I don't know if one or two of the guys are feeling a bit under pressure. They just have to get going and moving. Once they do they will be fine. I thought, and this is no disrespect to Sligo, that there was an opportunity to pick up points. We didn't take it.
" Towards the end you're trying to throw an extra body forward by going three at the back. We just didn't put the ball into the box early or quick enough at the end. That was an issue. For me the start of the game was the problem." That is why Dunne wants United “to earn the right to play” when Martin Russell's Limerick hit the Dyke Road venue. "We are looking to play when it is not on to play. That is something we need to learn quickly because we are putting ourselves under pressure. You need to try to get territory to get control of a game first before you start doing what you do. We didn't do that. We put ourselves under pressure. You have to earn the right to play. We didn't early on earn the right to play initially - that is what is causing us problems." Eradicating defensive mistakes, especially at set pieces, is another issue according to the Galway manager. "The goals we are conceding have nothing to do with good play from the opposition it is mistakes and bad decisions from our side. "Looking back at the game Sligo had one or two long-range efforts. They didn't really have a chance apart from the penalty so I think we created more chances. I thought we played the better stuff when we got a bit of fluency. It is a matter of trying to get that fluency quicker and better." Dunne admits that the clash with Limerick will be revealing. "You are with Galway United, there is pressure to win matches. That is what it is. If you can't handle that, you've got to look at something else to do with your life. From my side of things they are all important games. The Limerick one is a hugely important match. “When there is an opportunity to take points you need to take them. We aren't doing that at the moment." Galway United Supporters Trust will be running a bus to next Monday’s premier division match against Dundalk FC at Oriel Park, leaving from The Dail Bar, Middle Street, Galway at 3pm. Telephone Dominick Walsh (087 ) 9163438 or Ronan Coleman (087 ) 6972823.